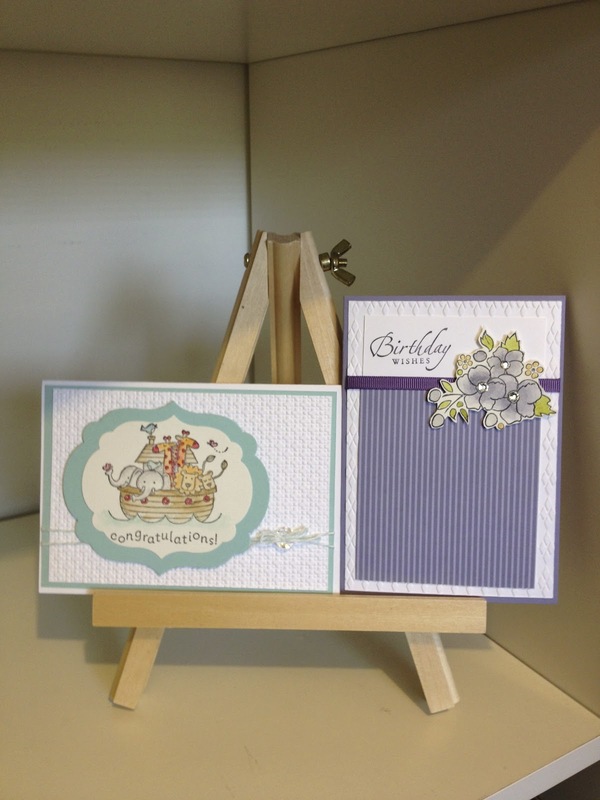 We meet regularly (6-8 weekly) and have Gail teach us a few skills while we make a couple of cards each time. We have a rotation of hostesses, so we all benefit from the generosity of Stampin' Up and receive free products. Here are the cards we made in September and October.